Canadian goalie who won the Calder Memorial Trophy during his rookie NHL season with the Columbus Blue Jackets. 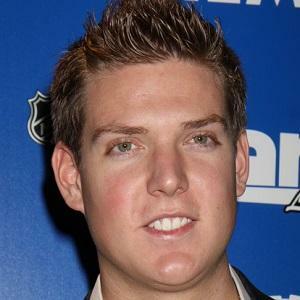 He was previously a star in the Ontario Hockey League, where he was named OHL Goaltender of the Year in 2007. He grew up in Oakville, Ontario, where he played Midget AAA hockey with the Oakville Rangers. He set a Canadian Hockey League record for most assists by a goalie with 8. His parents are Donna and Bill Mason. He was joined by fellow goalie Ray Emery in Philadelphia in 2013.